Early records are not clear as to where general and executive meetings were held. It is known that during the 1940s, general meetings were held either at the Bronte Public School (later renamed Centriller Public School) or, sometimes, at the Community Hall. Rent at the time was a whopping $2.00 per month. Centriller was closed in 1976 and demolished in 1979. Centriller Square now stands where the school was located. 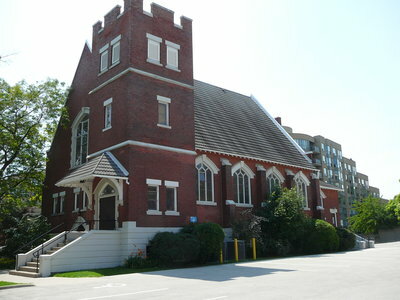 For occasions requiring more space, such as the annual general meeting (AGM)/banquet, the Society used Walton United Church. In the 1950s, the Society moved to Anglican Church Parish Hall and where they paid $5.00 per month. Walton United was still used for the AGM. In 1974, Bronte was on the move again, this time to St. Hilda's Anglican Church on Rebecca St (now on Wallace Rd. For more info on St. Hilda's click here). Rent was $200.00/year, but by 1980, this had risen to $300. The gym was used for general meetings and the 'Fireside Room' was used for the monthly flower shows. Because the meeting area was so large, the society also held workshops at the meetings which included the participation of children. In 1980, Walton United Church became our new landlord at a cost of $27.50/month. In 1989, the past president wrote to the current president, "I believe the society will stagnate and decline unless better facilities in the Bronte area are obtained." 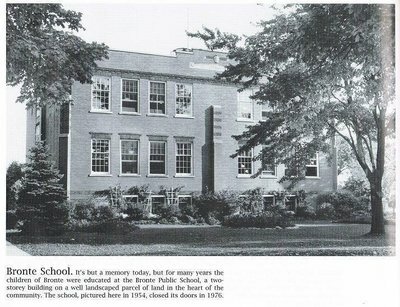 In 1969, the Society moved again; this time to Hopedale Presbyterian Church where, by 1973, rent soared to $150.00 per year. Space was a problem which reduced our ability to hold workshops and flower shows, which became small and informal. Instead, speakers became the norm. 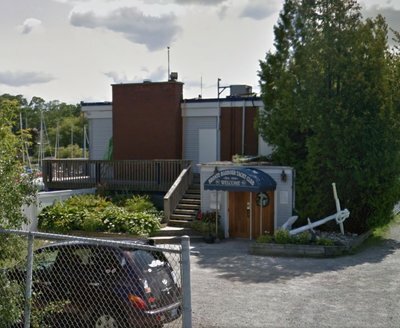 Our relationship lasted until circumstances forced us to move across the street to the Bronte Harbour Yacht Club in September, 1999. Rent was now $100/month. This proved to be an excellent facility, but, with increased membership, it proved to be too small for our needs. 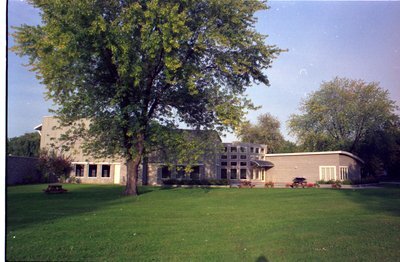 In September 2005, we moved to our present meeting place at the Sir John Colborne Recreation Centre for Seniors, located at the corner of Lakeshore Road and 3rd Line. As late as 2004, Executive meetings were held on a rotation basis in individuals' homes. In 2005, Sunrise Retirement Living offered their facilities to then President Barry Catley. In 2007, the Executive were informed that the offer was being withdrawn. President Lorne Sparrow was able to make an agreement with The Kensington Retirement Home on Lakeshore Road, who generously allowed us to use their facility. The Executive has been meeting there ever since.